Charelle Stevenson was only intending to stay in Edgecumbe short term. "When I came to Edgecumbe 10 years ago, it was a temporary move but the sense of strength I could feel within the community made me stay. "I truly believe last year's flood has strengthened the people even more and engaged them with the town in which they live." Charelle is now the chairwoman of Rangitaiki Community Board and part of family-owned Edgecumbe business Peppers Building Supplies. On April 6 last year her home was flooded. Her brother Kyle's home was directly opposite the breach in the wall and was eventually red-stickered, the home of her father and Peppers co-owner Gary was wiped out, a healthy percentage of Pepper's staff had flooded homes and the back of the timber yard was underwater and remained so for 10 days. On top of that Charelle had, six months' prior, been elected as chairwoman of the Rangitaiki Community Board – her first introduction into local body politics. "On top of commitments to myself and my family, being chairperson gave me a community responsibility in relation to the flood," Charelle said. 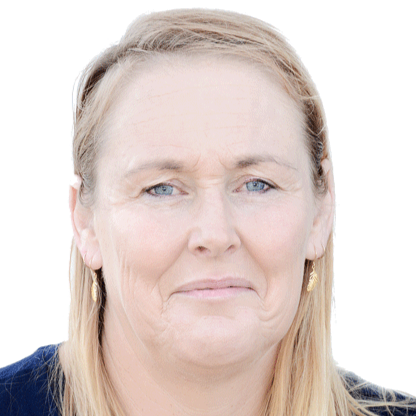 "I'm a big believer in communications, I studied communication, and what I could see from day dot was the lack of communication around the recovery and response process so I became the conduit between the people of Edgecumbe and the Whakatane District Council." Once Civil Defence had handed things back to Whakatane District Council and the Flood Recovery Team had been established, Charelle was meeting with members of the team twice a week for the first four months. "When I look back at everything, I'm really happy the council listened to the community. A lot of initiatives that came out of recovery were from us at grassroots level. "I'm really proud to have been part of a lot of the things that have been happening in the background and that includes, but is not limited to as there have been so many things that have been happening, the Etu Edgecumbe programme." The festival, according to Charelle, was born from a desire to keep Edgecumbe residents busy during the recovery process. "We wanted to keeps minds busy while also connecting residents back to their whenua, their home, while they waited to move back to Edgecumbe." A number of workshops were planned around things insurance might not pay for – things like gardening and fence building. Members of Edgecumbe's Garden Circle provided expert tips on what grew well and also donated seedlings and cuttings to residents involved in the workshops. "This town has seen its fair share of natural disasters but it's my personal belief it makes Edgecumbe and its people stronger. "What I have seen during the past 12 months is an increase in the number of people wanting to become involved in the established community groups – Blue Light, Lions – people now have more of an understanding of the importance of these community groups. "We recently asked for help with the Kotahitanga anniversary event and got a great response from a very diverse group of residents – it was awesome." Charelle said she wanted to acknowledge there was still hardship in the community, that there were people still hurting, and said she hoped in time, it would get better for them. "I also want to acknowledge the people around us. There's been a lot of talk about the organisations who have donated to Edgecumbe but I want to say a massive thank you to our friends and whanau who opened up their homes one year ago and who have, since then, listened to us rant, who have made us dinners and who have provided a shoulder for us to cry on. "They've probably felt like the ones flooded at times because they've lived through it with us." She says while there is a still a way to go for the town they'll get through it together.